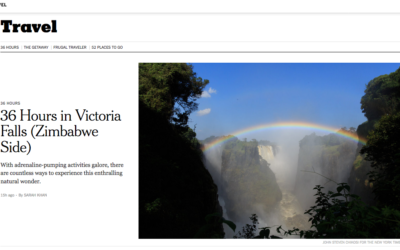 Don't miss my latest 36 Hours column, in this weekend's New York Times: it covers what to see, do, and eat in Africa's adventure capital, Victoria Falls. Read it here. 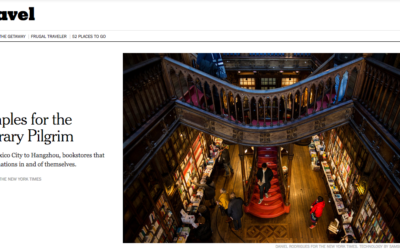 This weekend’s New York Times Travel section is a bookworm’s delight — I wrote about two beloved bookstores in Kalk Bay, South Africa. 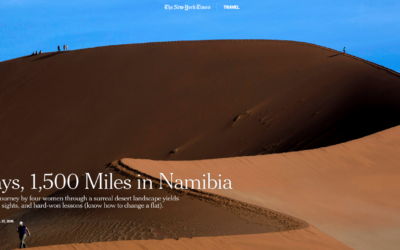 I woke up to some great news this morning: my New York Times feature “7 Days, 1500 Miles in Namibia” was awarded a Society of American Travel Writers Foundation Lowell Thomas Award. 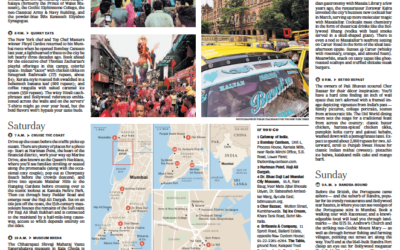 My latest for the popular New York Times 36 Hours column: a guide to spending a weekend in Mumbai. 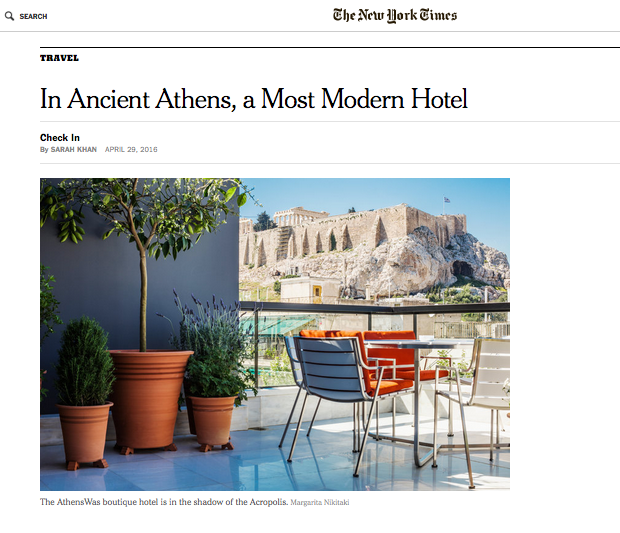 A review of the ultra-sleek boutique hotel Athens. Was, a contemporary hideaway steps from the city’s most ancient sites. Heading to my hometown of Hyderabad, India? Here’s a guide I did for the New York Times on how to spend 36 hours there. 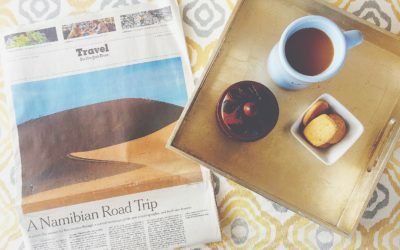 My latest New York Times story also marks a milestone for me: it’s my first feature on the cover of their travel section. I recount a seven-day, 1,500-mile road trip across Namibia with four of my friends through a series of lessons we learned along the way. 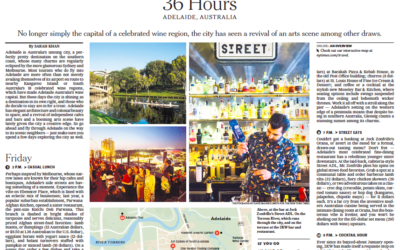 Heading to the oft-overlooked Australian city of Adelaide? 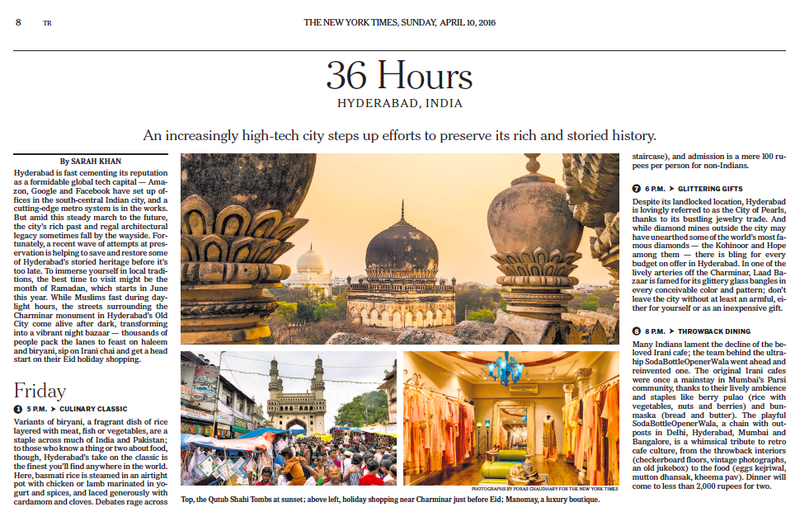 Here’s a guide I did for the New York Times on how to spend 36 hours there. 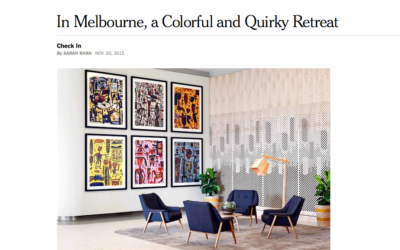 If you’re looking for a colorful place to stay in Melbourne, don’t miss my New York Times review of the Larwill art hotel.